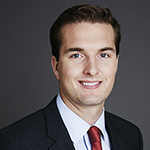 Conor J. Meehan is a Portfolio Analyst at BNY Mellon Wealth Management in the Los Angeles office. In this role, he provides asset allocation recommendations for client portfolio rebalancing and executes trades to implement those strategies. He is also responsible for preparing customized client reviews which analyze current asset allocation, performance and potential future investments. Prior to joining BNY Mellon, Conor pursued a professional basketball career in the U.S. and Europe. He had several professional tryouts and offers before deciding it was time to focus on his long-term career in the investment industry. Conor earned his B.A. from Amherst College. He is a CFA Level III candidate.